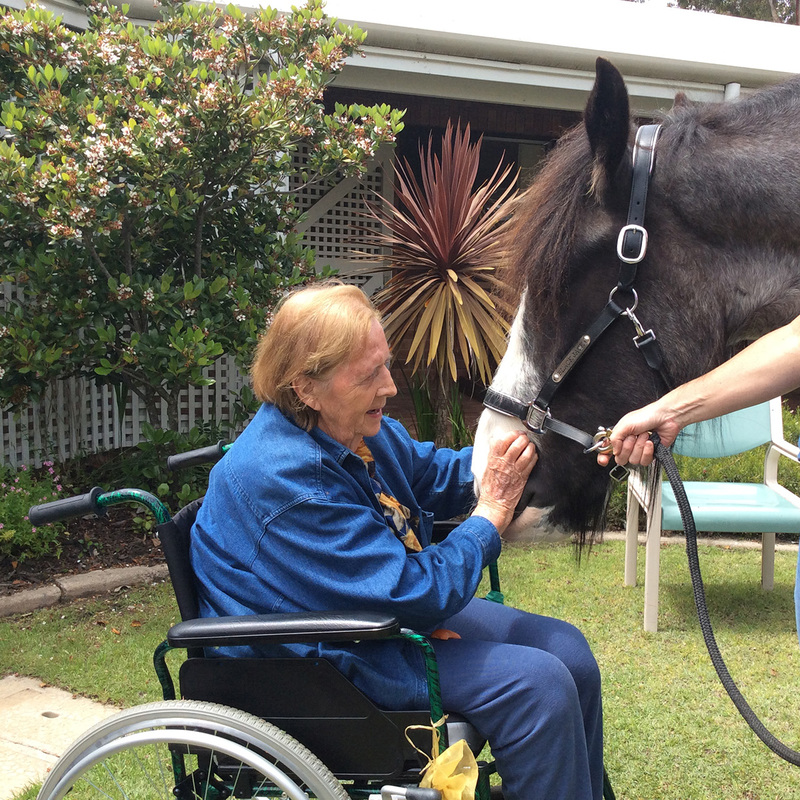 Residents at Baptistcare Yallambee were grinning from ear to ear when Blackjack the Clydesdale horse came to visit. A true gentle giant, he soaked up all the attention and had a great time devouring carrots with everyone in awe of his beauty and size. Spending time with Blackjack sparked happy childhood memories for our residents at Yallambee as they recalled their days in the saddle. Animal therapy is proven to have numerous benefits including improving social, emotional and cognitive function.